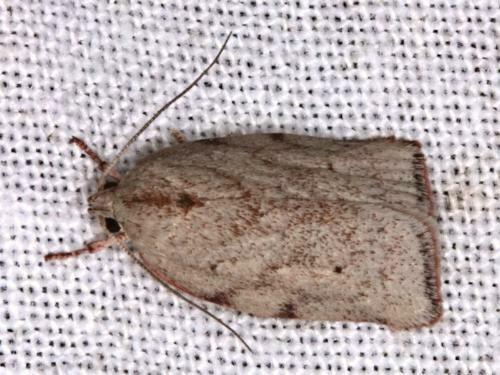 The adult moth of this species has pale brown forewings each with a red line along part of the costa, and several vague dark brown speckled diagonal bands. The hindwings are pale brown. The wingspan is about 3 cms. CSIRO Publishing, Melbourne 1994, pp. 268-269. Part 29 (1864), p. 759, No. 136.